What is Hypnosis | How Can Hypnotherapy Help Me? Hypnosis is sometimes referred to as an “altered state of consciousness” in which an individual can experience an increased receptiveness and responsiveness to their inner experiential perceptions. It is a state of heightened suggestibility in which a therapist can use suggestions to influence the patient’s unconscious mind while their conscious mind remains relaxed. This therapeutic change is brought about with the cooperation of the patient. The analogy of the iceberg is often used as a metaphor to distinguish the parts of the mind and how they work together. On the surface of the water is the conscious mind, the smaller part of the mind that is noticed. It is the part that we ordinarily think of as “my mind.” The conscious mind is associated with rational thinking, decision-making, analysing and the forming of judgements. It actively sorts and filters what is perceived but its capacity is limited. Everything else that it is unable to be processed falls below the water-line into the unconscious mind. The unconscious mind acts as a support network of resources for the conscious mind. Once you have overcome the conscious learning stages in activities such as driving or cycling, they then become automatic (unconscious). These various skills are then directed by the unconscious mind. On a regular journey, we can commute to work without being consciously aware of how we have integrated these complex processes into “one” skill – driving (or cycling). Our conscious mind is still responsible for filtering the important information such as stopping at the red light or swerving around a pothole. But the unconscious mind is coordinating all of these once difficult ‘mini’ skills into an automatic pattern of events. The imagination lies at the surface of the water. It is the communication link between both parts of the mind, restoring vital information from the unconscious mind up into the conscious mind when it is needed. In relaxed conversation, memories of topics being discussed pop up into our awareness, enriching the quality of our dialogue. New ideas, daydreams and intuition are all part of the dominant flow of traffic from the unconscious mind, up into the conscious mind. This communication can be two-way however. With the imagination, the conscious mind can communicate downwards into the unconscious mind through the use of suggestions about what it wants. By imagining these goals, events, feelings, dialogue or situations etc. in the most positive way possible, the unconscious mind can act to make them happen. Sports people use mental rehearsal techniques to positively imagine themselves performing their event at their ‘peak.’ The imagined success creates chemical and neural changes that project the athlete closer to their imagined reality, as if the body and mind has ‘lived’ or become that positive experience. When placed back in the sports arena, they can perform these desired outcomes uninhibited, since the athlete has relearned them into automatic mode. However, the communication between each part of the mind is not always positive. Negative events can create a negative pattern of responses. 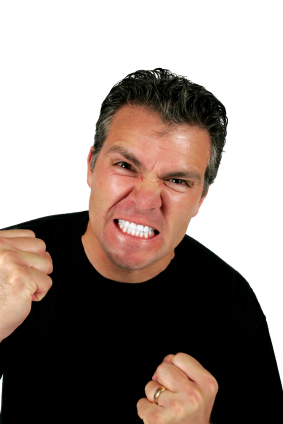 Consider a negative cycle of repeated aggressive criticism from an authority figure e.g. one’s manager at work. Whilst being criticised, the employee might register stress responses from their autonomic nervous system such as increased heart rate, sweating and muscle tension. The unconscious mind triggers past feelings of worthlessness and anxiety. The employee then worries about their job security (negative mental rehearsal) and the implications that it will have on their life. The unpleasant emotional and physical feelings are likely to create a negative ‘memory trace’ from the unconscious mind. Just thinking about your manager afterwards can cause you to relive the events, deepening the negative memory trace so that in anticipation of meeting them again, the same negative reactions are likely to be triggered. As these events continue, the employee may suffer with insomnia and have recurrent bad dreams or nightmares. The interrupted sleep patterns can reflect the significance of these events in the employee’s lifestyle. When asleep, the conscious mind is unable to filter out the meaning of these events, so the unconscious mind is open to ‘play-out’ this store of negative experience unchecked. Dreams might directly reflect these situations as ‘work-specific’ nightmares or become far more bizarre in their context. Those who can remember their dreams know how vivid and intense they can be. Compounded situations like this can influence the development of our self-esteem and self-confidence when past experiences like these have been created in our childhood. 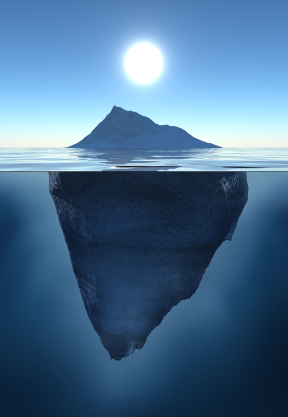 With reference to the iceberg metaphor, hypnosis creates a relaxed state of mind that moves the tip of the iceberg to one side. The part of our mind that actively sorts and filters information is still awake and observant but is more in a resting state. The unconscious mind, or the part that is beneath the surface of the water, becomes more accessible and more receptive to communication without conscious interference. Having previously discussed the outcomes and built rapport with the patient, the hypnotherapist can then help direct the patient towards these goals without judgement. For the patient ‘performer’ in hypnosis, they can once again re-educate mind and body back into that peak state, without influence from any negative traumas. 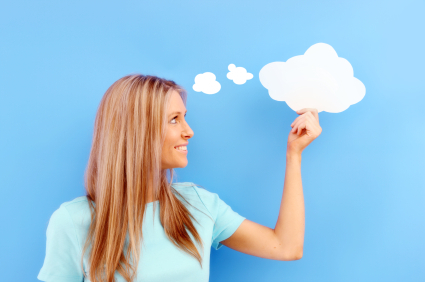 Visualisation is just one tool that a hypnotherapist can use. Other approaches may vary according to how the patient learns – visually, audibly or kinaesthetically. For some patients regression can be the focus of the treatment where the aim is to re-attach positive feelings into past events that have left a negative mark on their self-esteem. Suggestions can be used to create powerful internal dialogue patterns (affirmations) e.g. “each day in every way, my life is getting better and better,” boosting a patient’s ego when facing a difficult situation. Physiological anxiety symptoms such as muscle tension during a performance can be re-educated into relaxation responses. When the hypnotherapist-patient rapport is strong, the hypnotherapist becomes the patient’s conscious mind’s representative and helps to communicate the suggestions with a more positive ‘filter.’ The unconscious mind can then embrace this new direction and send this positive communication up into the conscious mind and its connections into the body. Hypnotherapy is the therapeutic use of hypnosis as opposed to something that might be used in stage hypnosis which is aimed at entertainment. It can help to create a therapeutic change in a patient’s thoughts, beliefs, values, feelings and behaviour. A patient might arrive with a particular symptom that they want treated. As a hypnotherapist, I can use a variety of strategies to treat you-the patient. This might vary from providing a temporary relief of the symptom e.g. with recent insomnia helping you to relearn a positive process that will help you to sleep. Or the range of strategies I use could be more in-depth if the symptoms are acute and have been long-term. In the latter situation, I might uncover and treat suppressed causes and subsequent triggering events that have developed your symptoms. Techniques might be employed to disassociate or release the negative emotions in these events. This can help you to transform them into positive associations, likely to influence a more long-term therapeutic change. There are various terms used with hypnotherapy such as holistic, remedial, curative, insight, clinical etc. Each one varies in its emphasis and can vary in approach depending on the particular therapist using it! Direct and indirect suggestions have the advantage of being quick and effective (sometimes just one session) for habits such as smoking, weight reduction or nail-biting etc. They are particularly useful when the patient is convinced of the ‘power’ of the therapist as they would in a stage show. Here, the hypnotherapist could take full advantage of that perception given to them and almost role-play that ‘power’ to influence therapeutic change. It can be particularly effective where the patient has a sleep-walking (somnambulistic) tendency and is very responsive to suggestions: the type of individual who would be selected for a stage hypnosis show because of their strong visualisation abilities. The disadvantage of only using this approach is that symptoms may return if the patient experiences similar conditions that started the original issue. Within the brief consultation period the hypnotherapist may not have been able to uncover causes and subsequent reinforcing events. The patient may have also communicated that the past causes are irrelevant to their treatment. So the hypnotherapist employs a brief strategic approach to retain rapport. When the ‘treatment’ succeeds in this context, it can almost be viewed as miraculous. I still get that heightened state of satisfaction when a transformation takes place this quickly, but as an experienced hypnotherapist, I am more aware of ‘why’ it has happened in this way (the patient might believe that hypnosis makes you change). This situation can generate many patient referrals but usually with the same high expectation. It would be as if a new patient brings a “can you do to me what you did to them?” agenda which over-simplifies the therapeutic dynamics involved in each consultation and with each new patient. At the other end of the continuum are more analytical forms of hypnotherapy. As a hypnotherapist, I would use the direct suggestion to start the process and monitor any changes as the course progresses. If there appears to be a block to these suggestions, it could be because the negative feelings and symptoms are being reactivated by something in the patient’s present situation. Or perhaps the condition has a strong history of past traumatic incidents that have remained suppressed but are being re-triggered. Analytical hypnotherapy (sometimes called (hypno-analysis) is thus aimed at identifying the underlying reason for a presenting problem. By working though the causes, I can find that it helps to make the symptom become more redundant. It can be used for complex conditions such as addictions, depression, eating disorders, self-confidence and self-worth, obsessions and compulsions, sexual problems and anxiety-related skin conditions etc. Or it can be used for more straight forward treatments like habits, but which have a more complex history. Analytical hypnotherapy has the advantage of providing a more long-term change to the conditions presented. I find that it can help treat some the associated issues for which anxiety, self-confidence and self-esteem are commonly linked. The patient benefits by having an increased self-awareness which can help them in other aspects of their life. The therapist-patient rapport can also develop more naturally during this type of treatment. A disadvantage of this approach is that the course is likely to be longer e.g. five to ten sessions. Does hypnotherapy have links with other therapies? How a hypnotherapist uses their techniques, skills and experience will have a huge impact on the therapeutic outcome. To consider hypnotherapy as an isolated therapy that is ‘done’ to the patient would ignore some of these broader dynamics. Even with a basic suggestion, there are numerous ways that a therapist can place emphasis on phrasing, style, imagery, timing etc. that can influence change in the patient. Many therapies and techniques evolve over time. They are given new names with the therapist specialising in a particular aspect of the therapeutic process who will then claim to have created something new. Types of hypnotherapy include holistic, curative, clinical, healing, restorative, solution focused brief therapy etc. But whatever the emphasis or the ‘type’, the therapist will still aim to create a change in the patient’s thoughts, beliefs, values, feelings, and/or behaviour. Many therapies vary in their emphasis and style. They share the same goal: To create therapeutic change. Consider NLP (or Neuro-Linguistic Programming). NLP focuses on the connection between neurological processes, language, and behaviour patterns that have been learned through experience and organised to achieve specific goals. NLP has its roots in Ericksonian (Milton Erickson) hypnosis and can simplify the processes of therapeutic change with some very rapid results. Many of the techniques used involve placing the patient into a light relaxation or hypnosis (trance-state). An NLP therapist might use an ‘anchoring’ technique for example to help evoke a new positive response to an old negative habit e.g. replacing the physical reach for a cigarette (negative somatic response) when feeling tense, to a new relaxation response anchored by squeezing two fingers together. We generate positive and negative anchors (habitual responses) frequently in our lives. The smell of a particular food can create a salivating (desired) response with a memory of when we first enjoyed that food. Television advertisers are renowned for anchoring a positive mood towards their products. They are repeated to viewers who are in a light ‘TV trance’ with their critical faculties suspended. A hypnotherapist who has altered a response to an old stimulus will have set up an anchor in their patient whether they call it ‘NLP’ or a process within ‘hypnosis’. A hypnotherapist can use regression techniques extensively to ‘re-frame’ the meaning of traumatic experiences. Regression can also help the patient increase their self-awareness so that they are ready to make changes for themselves. In this context, the hypnotherapist might be considered to be adopting a psychotherapeutic (psychotherapy) approach. They cannot call themselves a psychotherapist (or psycho-analyst) however, even though during their course of treatment, they have utilised some of the best ideas from these differing schools of thought. Thus in my opinion, using hypnotherapy can be a very effective way of using positive strategies from other therapeutic disciplines, but still within a ‘hypnotic’ context. Again, a hypnotherapist cannot call themselves a ‘life-coach’ even though they may employ common strategies. A hypnotherapist can be very goal-orientated, helping to focus on what a patient wants (identifies and sets goals and action plans). With this patient, rather than using regression techniques, the hypnotherapist would use more ‘progressive’ (future-based) visualisation techniques in the form of a ‘time-line’ to motivate the patient towards the achievement of these goals. Anticipated blocks may be identified as the treatment develops and techniques would be used to ‘untie knots’ from unhelpful thinking patterns created from past experiences. With the ‘time-line’ analogy, the patient is able to establish ‘where they are now’ and ‘where they want to go’ in their lives. This is very much a ‘life-coaching’ approach, but here applied using hypnotherapeutic methods. Thus as an experienced professional hypnotherapist in Cardiff, I have many strategies available to me that I can use to treat you. These strategies overlap with many other therapeutic approaches. It is my skill as the hypnotherapist to find that ‘fit’ between helping you-the patient achieve your goal and help support you on your journey.